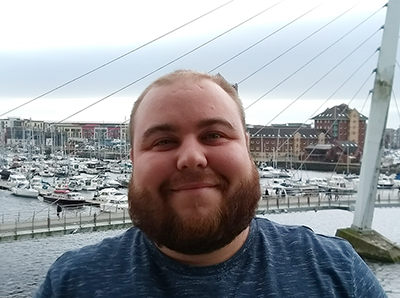 “I was taken on at Sureview in late 2013 as a junior integrations developer, coming from a background in C++ and game development my main responsibilities at the time was learning C#, Web Development and creations of device integrations into the Immix platform. 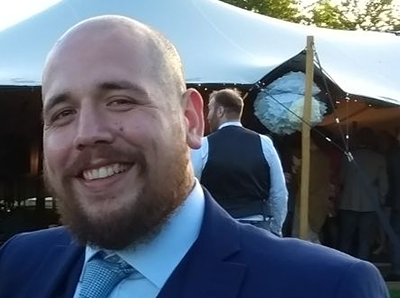 Since starting at SureView I have had a very aggressive progression path in terms of both education and responsibility, this has led me to holding the positions (respectively) of Jr Integrations developer, Developer, API Support Engineer, Lead API Developer, Partnership Programme Manager, Deputy CC Development Manager and finally Strategic Account Development Manager. The ability to actively push myself forward within the company has been one of the greatest aspects of the job. Recently I have had the opportunity to perform an extensive amount of travel and become an on-site resource for customers, this has allowed me to spend many months living in Silicon Valley - California working on site at multiple customers. Included in this travel has also been trips to training courses and large security events such as IFSEC. I joined the Sureview team in 2011 as a Web Developer; at this time the Immix product was transitioning from a client-server based architecture to the more flexible web-based Cloud solution available today. Since then I've progressed to become the Lead Core Developer and Scrum Master. During my time at Sureview I've been able to travel internationally to work alongside customers to develop solutions, travel to our Tampa Bay office to work with our US team and attend trade shows to keep up to date with our industry. In recent years, I've been heavily involved in R&D projects, including mapping, mobile and the latest in video technology; all of which allow us to deliver innovative solutions that meet the security needs of our customers; a list of whom contains companies in the Fortune 500 list, along with a few household names. We build software to protect people, and we’d like you to help…. Immix is a single solution for physical security and we’re looking for talented software developers to join our growing team. The product is often non-standard and developers in the team need to have close working relationships with the customer, engineering and sales teams in order to successfully deliver the solution. We manage this by embracing a DevOps mentality and maintaining customer specific teams. It will not be uncommon to work one-to-one with customers to create and deliver the product specifically to their needs. This will include all stages of the development lifecycle from conception to delivery and deployment. As a successful candidate your day to day responsibilities will include the maintenance and betterment of the core Immix platform as well as the incorporation of third party hardware and software systems into the integration or “plugin” library. Opportunities to travel to other SureView offices, partners or customers may arise. A first-class (1st) or second class, upper division (2:1) bachelor degree (BSc) in computer science or an equivalent field. The Systems Engineer position is an exciting opportunity for a candidate to join a dynamic, growing software team. The ideal candidate is someone who thrives in a challenging, fast paced collaborative environment. The primary responsibility of this position will be to provide technical product support to key customer accounts, managing multiple projects and taking personal responsibility for their success. The primary scope of the position is to install, commission and refine Immix systems in test or production environments. This includes but is not limited to comprehensive end user training, system testing, deployment of new software releases and supporting the Program Manager in executing the overall project plan. Immix customers include companies from different industries and backgrounds looking to improve their physical security operation and increase overall security situational awareness. This position is Tampa based (remote/telecommuting also considered) and involves considerable travel (20%) and responsibility to represent the company at the customer location. The ideal candidate will also have a solid background in software applications and the ability to work directly with customers, They will need to understand IT networks and various server systems as well as be comfortable troubleshooting and dealing with software support issues. This person would also need to be comfortable with security systems including VMS and Access control.